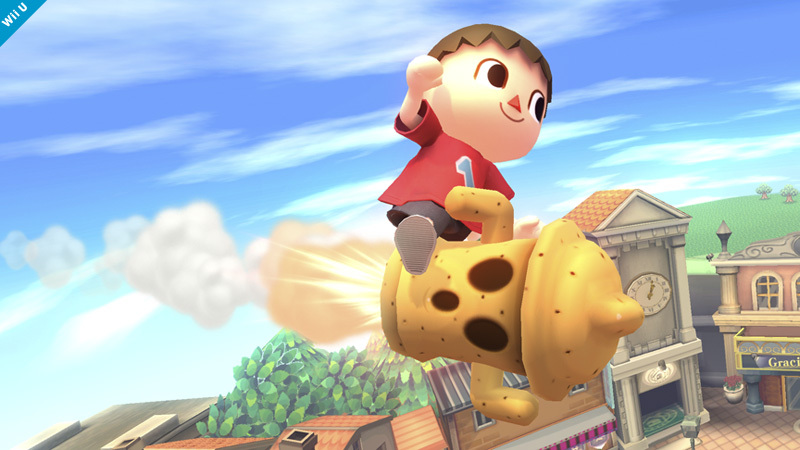 Ride on top of the Lloid Rocket by holding the Special Attack button instead of simply pressing it. Use the Down Special to plant a sapling, then again to water it with a can, then again to use an axe to chop it down. 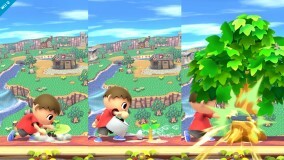 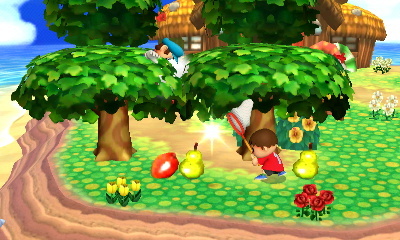 After planting a sapling, the watering can may be used to push foes away, and the axe may be used to attack players. 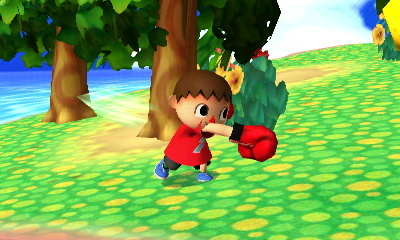 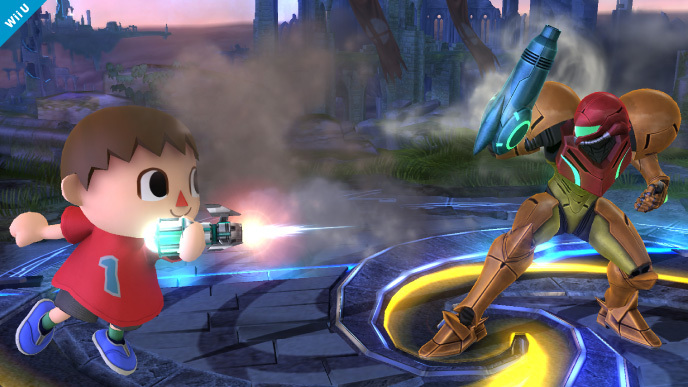 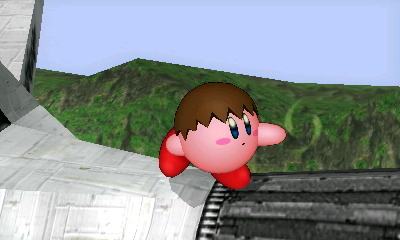 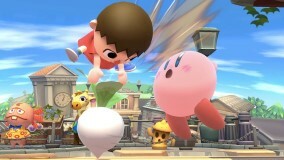 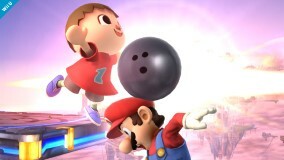 Here's Villager! 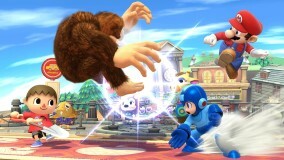 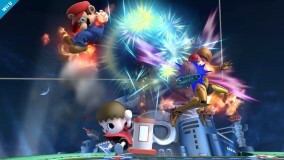 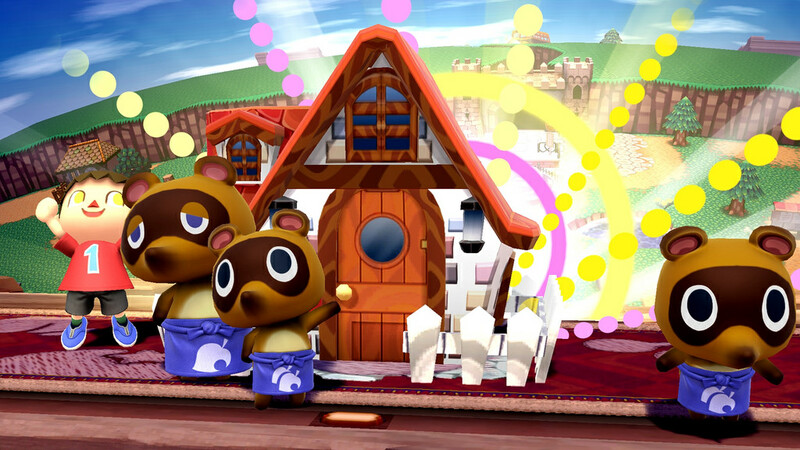 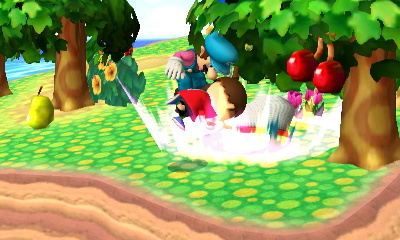 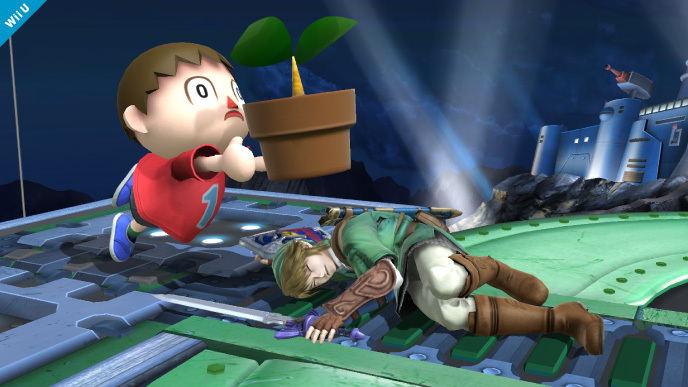 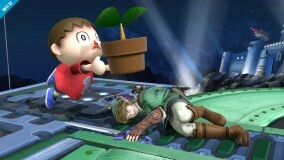 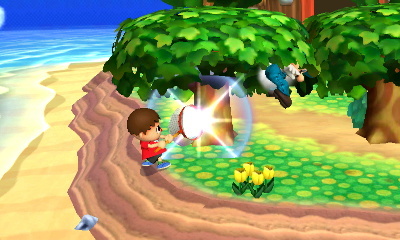 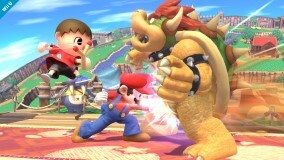 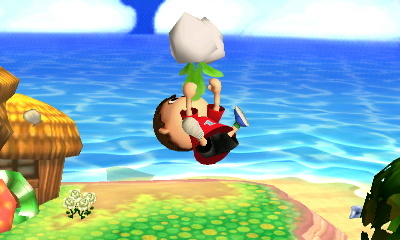 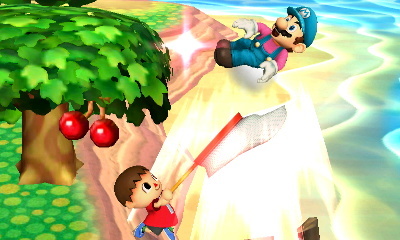 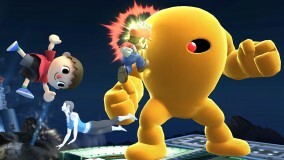 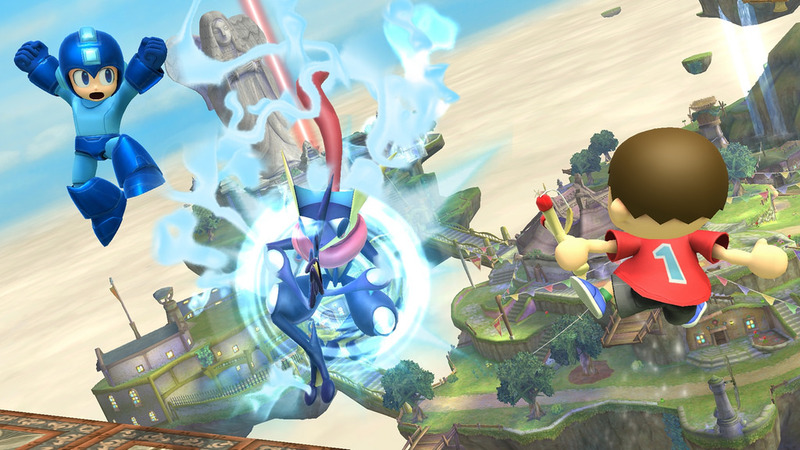 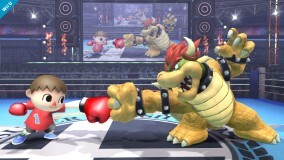 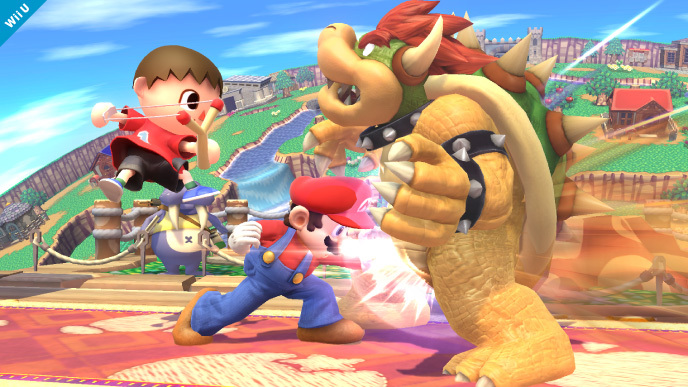 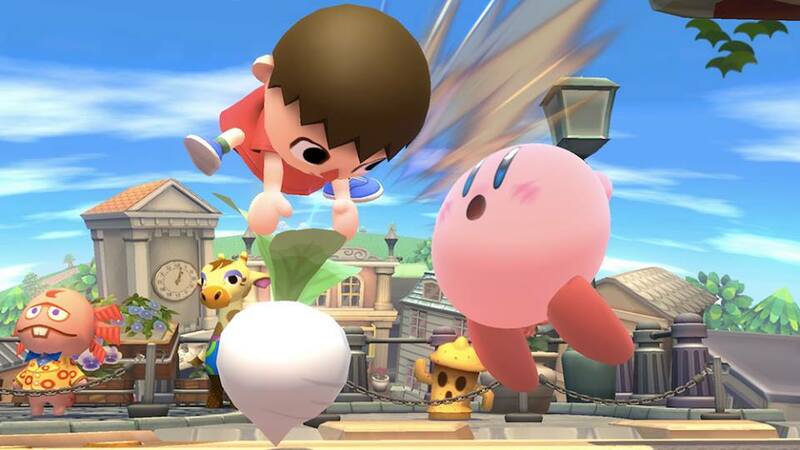 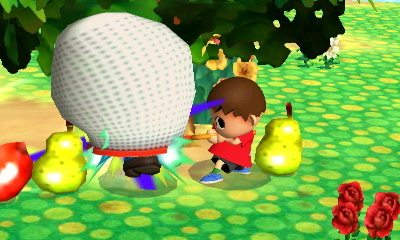 Bury opponents into the the ground with his trusty shovel by using his Down Smash. 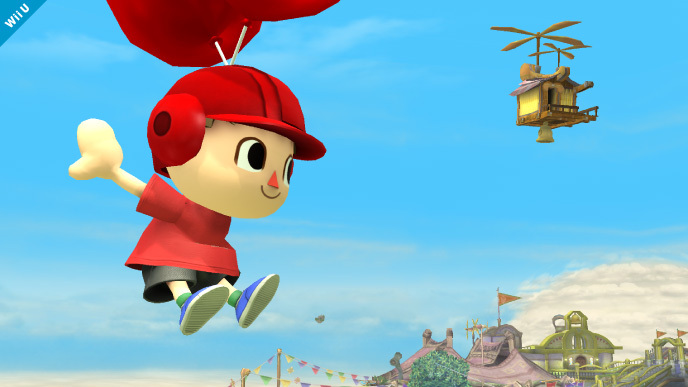 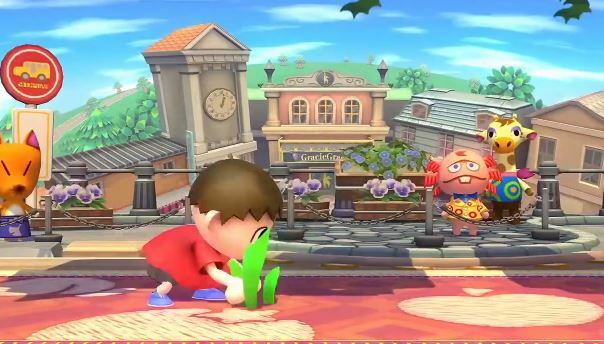 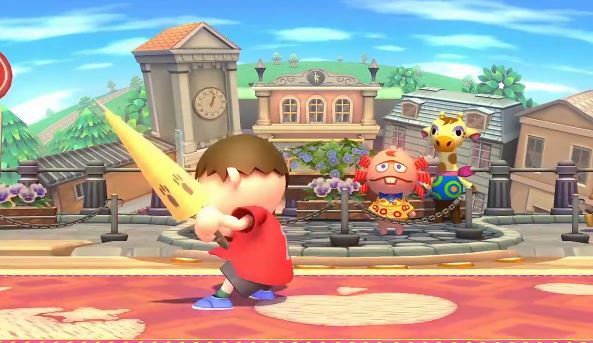 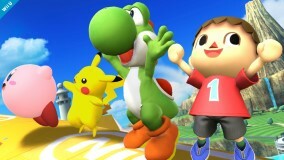 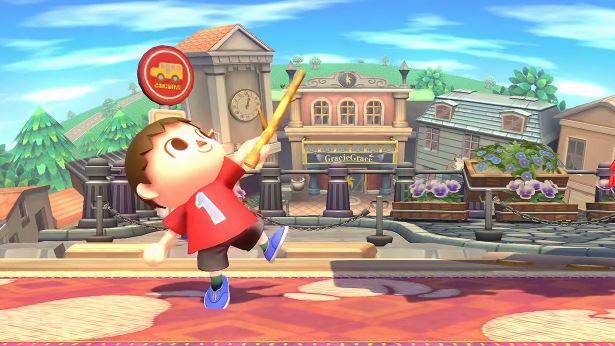 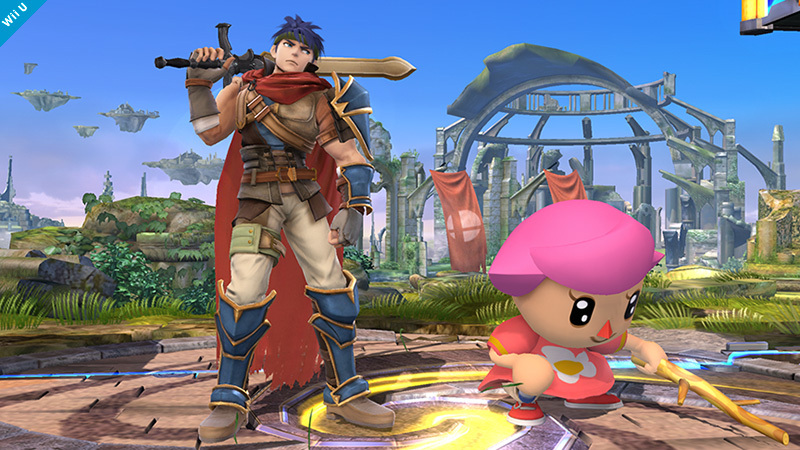 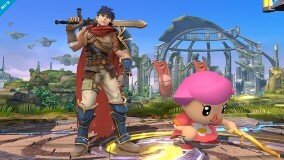 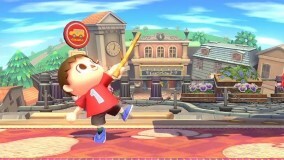 You can play the male or female Villager. 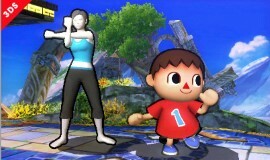 Each alternate is based on default face variations of Villagers in the Animal Crossing series.